During 2017 and 2018 we have worked with our quality and environmental processes within the company. We have completed a operating manual that guides our business to good routines, good working environment, high quality and a management program to minimize our environmental impact. 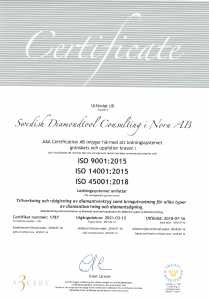 In August 2018, we finally became ISO-certified. 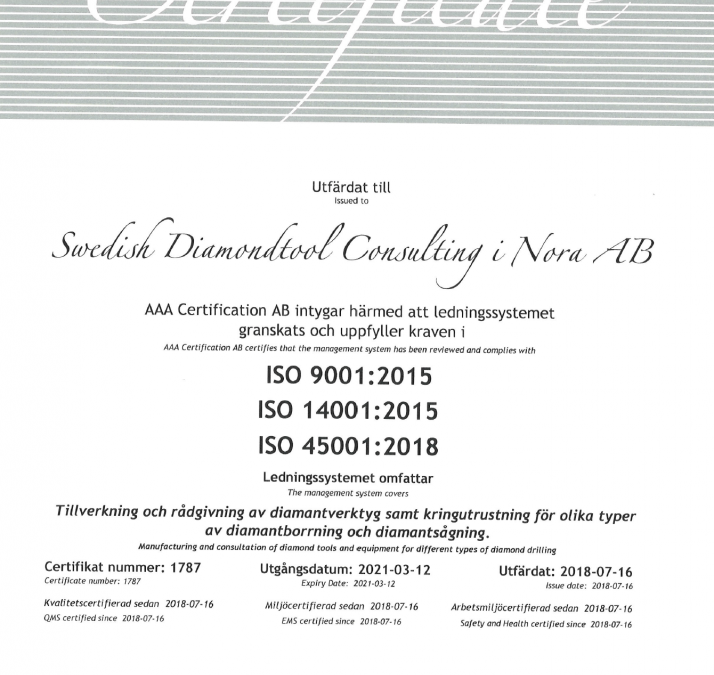 AAA Certification AB certifies that the management system has been reviewed and meets the requirements of ISO 9001: 2015, ISO 14001: 2015 and ISO 45001: 2018. With our Certification, we want to set clear guidelines that govern our business in areas such as quality and environmental issues.